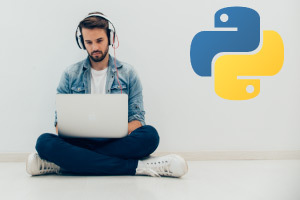 I have been struggling with a course that would teach me python as beginner and most were just so technical right off the back. This one really walked you through step by step and I felt like I really got a good foundation to move forward. This is a great course for beginners. The instructors in the video Susan and Christopher were great. The duration of the course is also apt. The assessments are really good. The course was properly arranged and it was easier to comprehend the concepts. Well done to the presenters. I enjoyed this course; it was very informative.